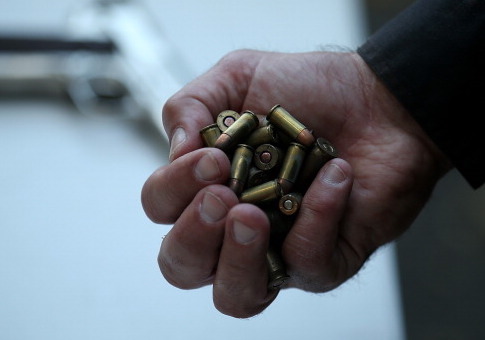 A federal judge struck down California's ban on the possession of magazines holding more than 10 rounds of ammunition. On Friday Judge Roger T. Benitez of the District Court for the Southern District of California ruled the confiscation effort is unconstitutional. "California Penal Code Section 32310, as amended by Proposition 63, burdens the core of the Second Amendment by criminalizing the acquisition and possession of these magazines that are commonly held by law-abiding citizens for defense of self, home, and state," he wrote. "The regulation is neither presumptively legal nor longstanding. The statute hits at the center of the Second Amendment and its burden is severe. When the simple test of Heller is applied, a test that persons of common intelligence can understand, the statute fails and is an unconstitutional abridgment. It criminalizes the otherwise lawful acquisition and possession of common magazines holding more than 10 rounds—magazines that law-abiding responsible citizens would choose for self-defense at home." In his order, Judge Benitez argued the debate over whether Californians should trade freedom for security was settled at the time of the founding and through the protections afforded by the Constitution. "This decision is a freedom calculus decided long ago by Colonists who cherished individual freedom more than the subservient security of a British ruler," he said. "The freedom they fought for was not free of cost then, and it is not free now." Gun rights groups celebrated the decision on Monday. The California Rifle & Pistol Association, one of the plaintiffs in the case, said it was happy the court recognized the importance of ammunition magazines in lawful self-defense. "This comprehensive and detailed ruling recognizes that these magazines have great value as self-defense tools and confirms that the government bears a very high burden to justify a law that infringes on the right to keep and bear arms," the group said in a statement on its website. The National Rifle Association, which filed an amicus brief in support of the plaintiffs, called the ruling a "huge win for gun owners" and "landmark recognition of what courts have too often treated as a disfavored right." "Judge Benitez took the Second Amendment seriously and came to the conclusion required by the Constitution," Chris W. Cox, executive director of the group's Institute for Legislative Action, said in a statement. "The same should be true of any court analyzing a ban on a class of arms law-abiding Americans commonly possess for self-defense or other lawful purposes." The office of California attorney general Xavier Becerra (D.) did not immediately respond to a request for comment. After Judge Benitez issued a preliminary injunction against the confiscation law in 2017, however, the attorney general appealed that decision to the Ninth Circuit. It is likely Becerra will also appeal this decision to the Ninth Circuit. This entry was posted in National Security and tagged 2nd Amendment, Guns. Bookmark the permalink.